I usually don't write reviews, but I feel sorry for the contributors of this book. 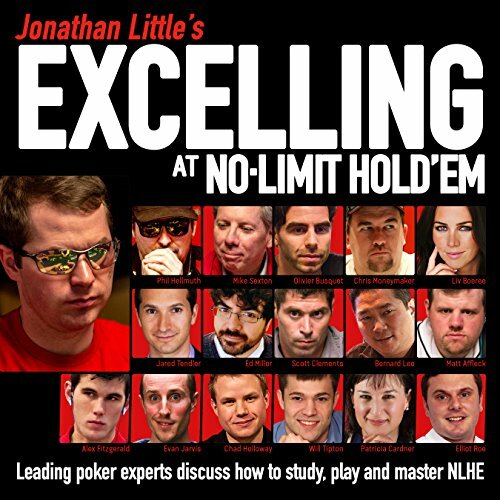 They all great authors and have a great amount of knowledge to give to poker players. However, it think it is a shame for all of the authors that Jonathan Little narrated the book himself. I am not putting him down for anything except his voice over of this book. He should have hired a voice over artist. Honestly, I have not been able to listen to any book Jonathan Little has narrated, and I have bought everyone he has put on Audible. I want to listen and study what he and the other authors have written, but I can't follow his choppy and disconnected narration. I can't not recommend buying the book, but be ready for a long process trying to get through it. Great writing and content, but the worst narration I have ever tried to follow. great book overall, it was so extensive, but I was hoping for a chapter on bankroll management. This book has a ton of good nuggets on a variety of areas. 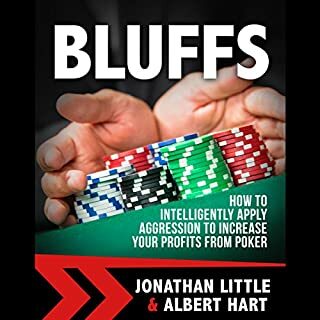 If you're serious about getting better at poker you have to read this book. 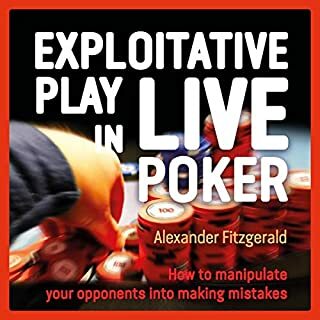 I enjoyed the expertise that went into this poker book. 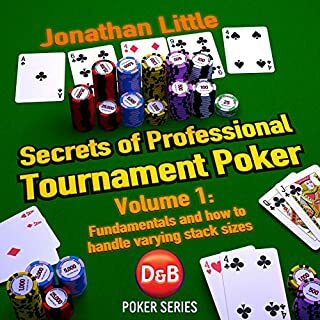 It was nice to hear from some of the best poker players in the world describing some of their tips and tricks for various, fundamental aspects of poker. As an audio book it does work, however, when hand ranges or hand descriptions are done, it is a bit more difficult to follow along and that is where a physical copy of the book is probably a bit more helpful. However, given the realities of today's go-go-go society, it is much more convenient to listen to this book as an audio book. 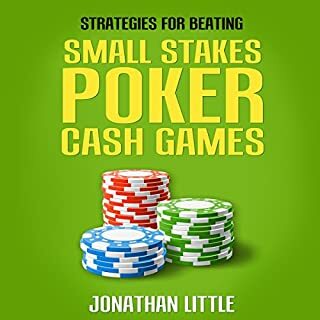 Highly recommended for a good general crash course on good poker info. Great info and perspective from different poker styles. If you are an avid tournament poker player this is a must read. packed with good info but also has a few chapters that seemed out of place. for example the hour long chapter on hypnosis. 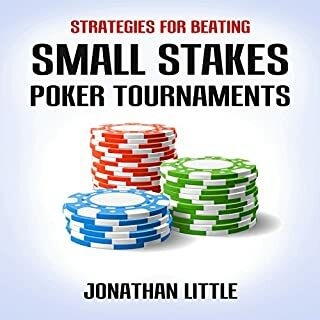 this book does a great job of providing many strategies that are needed for today's poker game. it helped me identify my weaknesses as a poker play but also help me see other people's weaknesses. it has great insight on tilt and how to manage it. this book makes you self aware. I'm going to read it again because I didn't understand ICM. I would recommend this to anyone on any leave I will be listening to it again and the MP3 exercises is great before a session. I was recommended this book and will by the kindle edition but the Audible version is just horrible to try and listen to. The reader has almost certainly set the device that he recorded his speech on to record as he speaks and it means that he has lost the first words of every sentence. I couldn't listen to more than a couple of sentences, the book needs to be re recorded without the auto record setting as it will just send you insane! The audio quality was very blippy, this will drive you insane as you listen to it. 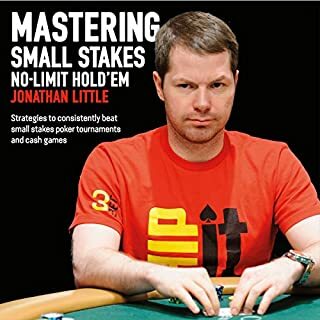 The topics covered here are better than any other poker book I've read thus far. Audio quality, surely someone checks this before it's confirmed live?